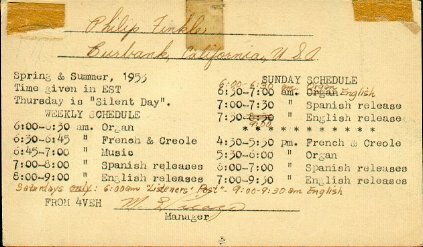 QSL card from 4VEH, Cap Haitien, Haiti, on 30 August 1953 on 9.690 MHz.. 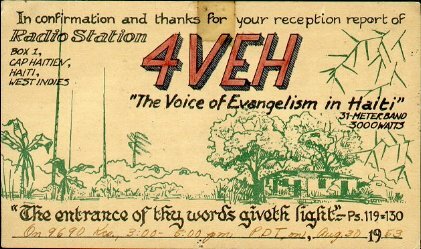 This QSL was from 4VEH, the Voice of Evangelism in Haiti. It was one of the many SWBC stations that carried religious programming for Protestant Churches. This was a very popular SW station in the 1950s. They were excellent QSLers as well!